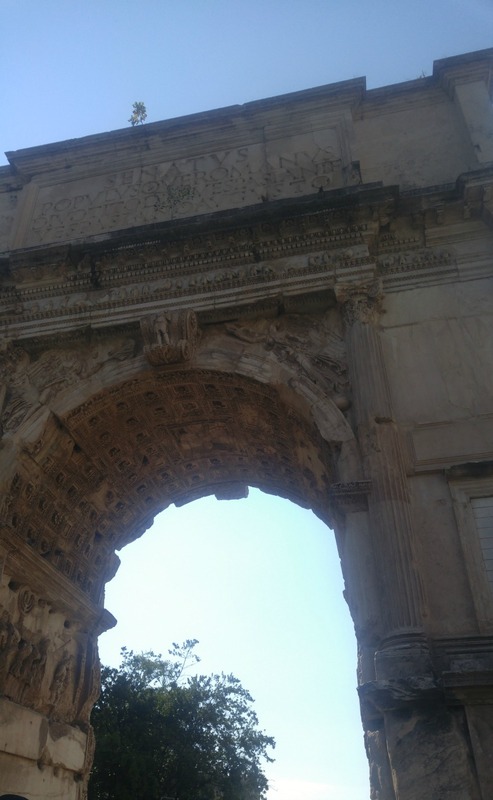 I feel like Rome was a good place to kick off my Italian travelling experience, being the capital. 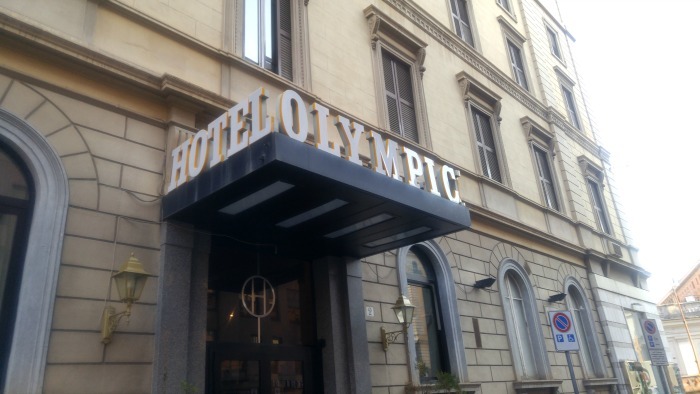 We stayed in a hotel called the Grand Hotel Olympic, which is about 5 minutes away from the Vatican City (the smallest country in the world) and about a 15 minute drive from central Rome. To maximise our stay in Italy we pre-booked 2 full-day tours, one in Rome and the other featuring Pompeii and the Amalfi coast. This post will focus more on Rome but I plan to create some YouTube videos and perhaps another post about the other tour. We arrived in Rome Fiumicino Airport on Thursday night, but rose early on Friday for our Rome Tour. 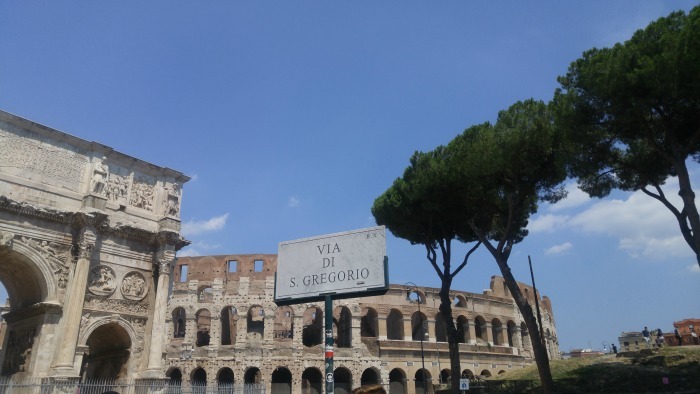 The tour was with the company 'Gray Line - I Love Rome' and the itinerary was listed as 'The Vatican, Colosseum and Ancient Rome'. The tour started at around 7:30 am and lasted around 13 hours - yes it was intense! I really enjoyed it though. 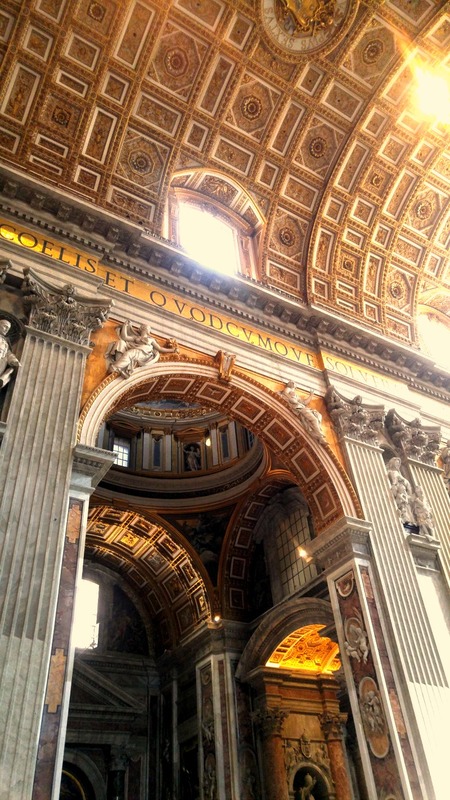 First we saw the Vatican. 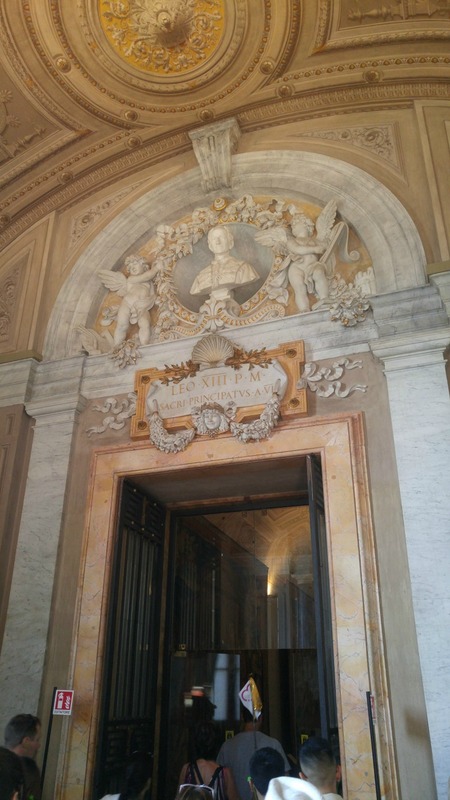 We arrived at the Musei Vaticani, or Vatican Museums to see the museums as well as the Sistine Chapel. 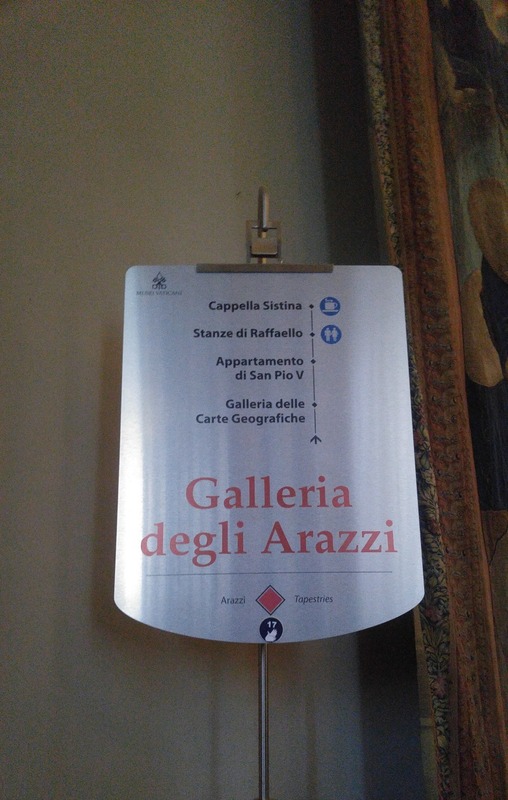 As you can imagine, the museums are brimming with breathtaking High Renaissance art and history. 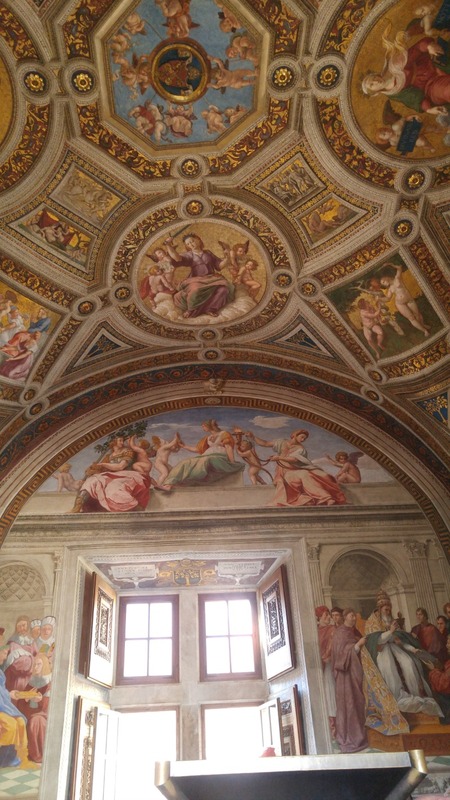 There are, of course, frescoes (mural paintings) on the walls, but the ceilings are a sight of their own. 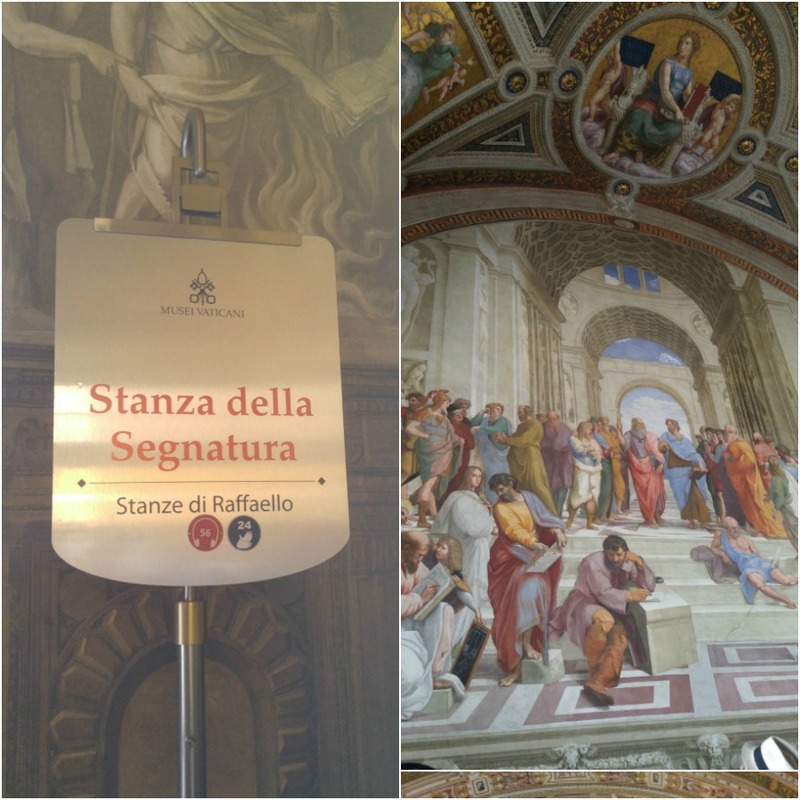 I took a lot of photos, except in the Sistine Chapel where photos are not allowed. 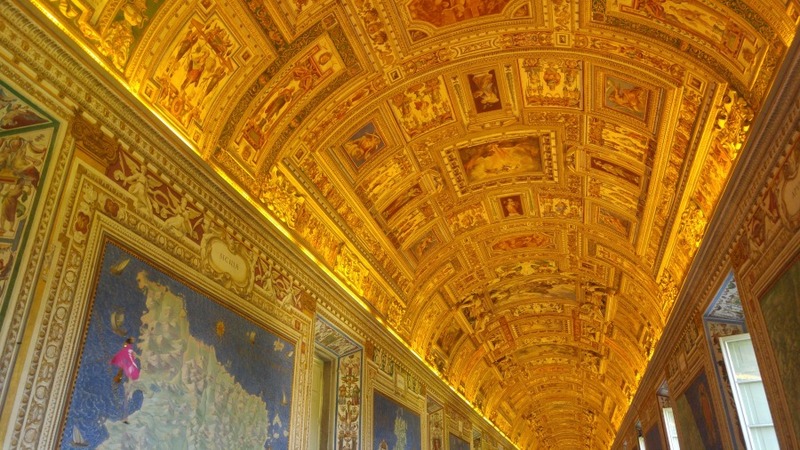 The Sistine Chapel is a chapel in the Apostolic Palace, the official residence of the Pope in the Vatican City. It hosts the Last Judgement, a famous fresco by Michelangelo that features over 300 figures and took over 4 years to complete. 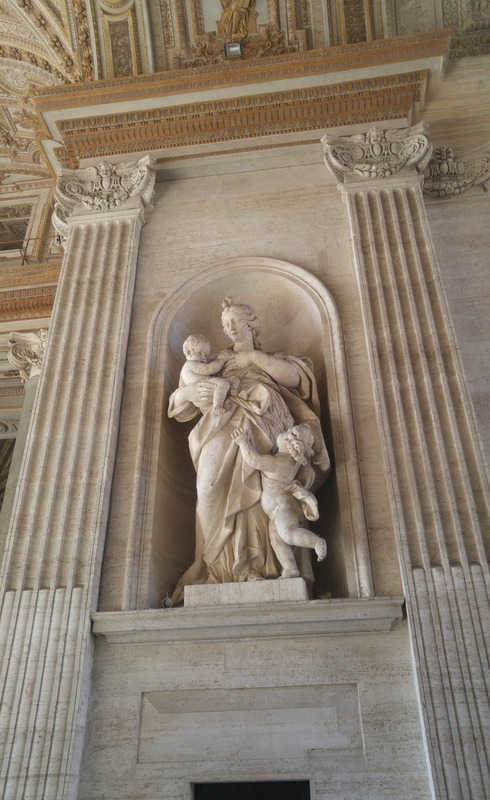 For more from the Vatican, be sure to watch my Rome YouTube video when it is published! 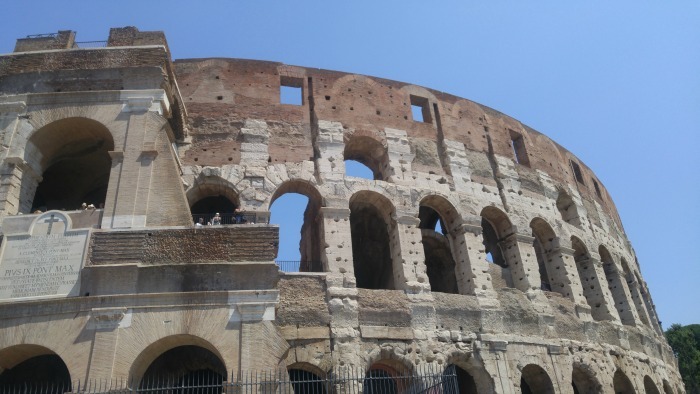 The second part of our Rome Tour took place at the Colosseum. Most fitting, because people usually immediately picture the Colosseum whenever they think of Rome. This part of the tour was a little more tiring as we had to wait in line for while (I guess it would have been even longer if we weren't in a tour group). It was hot. 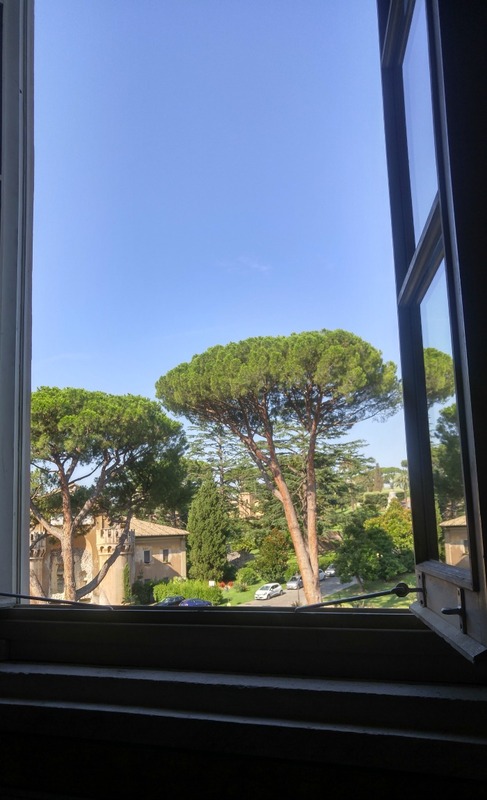 In fact, the weather was over 30 degrees Celsius for each of the four days we spent in Rome. I was quite thirsty by the end of the tour but thankfully there was a place to fill up water bottles within the Colosseum (and lots of people lining up for that too, as you can imagine). As you know, the Colosseum is a grand ancient monument. It is also the largest amphitheatre ever built and it sits right in the centre of Rome. 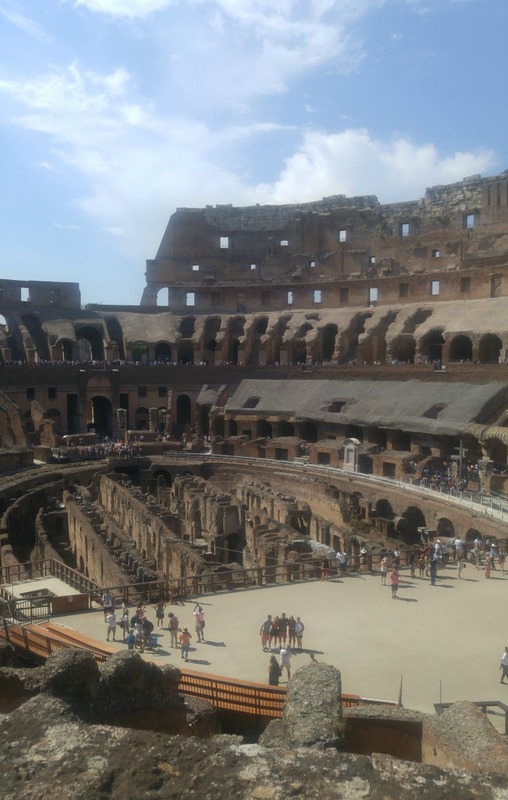 However the tour made me very aware of the Colosseum's dark history, as the oval amphitheatre was used to hold gladiator contests where an estimated 400,000 people and 1,000,000 animals died during a period of at least 390 years. A centre of tremendous violence. Only about 10% of ancient Rome survives. The pagan city of Rome was dismantled for the most part and the materials were used to create the Christianized city. The Colosseum had 76 numbered entrances (arches), used by the general public and four other 'Grand Entrances' which were unnumbered. The Colosseum has holes in it because the Romans took iron out of the structure for other uses. Yes, there is food section in my Rome reflection! 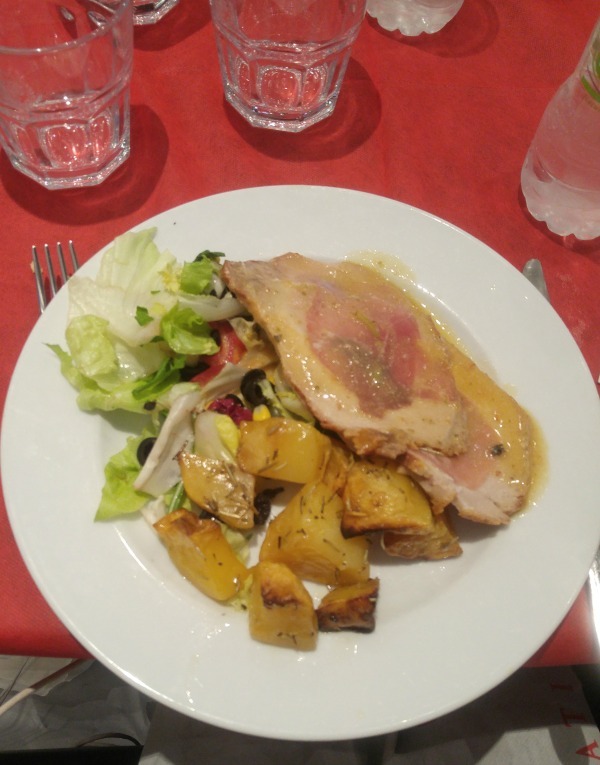 Italy is well known for good food, and Rome did not disappoint. As part of our tour, we went to a restaurant called Satitirus. All those on the tour enjoyed a set 3-course menu. The main dish was lasagne. The second dish was sliced beef. The dessert was tiramisu. The lasagne was beautiful. As I expected, it tasted totally different to the lasagne I'm used to. Something I noticed about Italian food is that the main focus is on quality and richness of the sauces. The meat in authentic Italian pasta seems lighter and less noticeable compared to the way it is often cooked outside Italy. Not too overpowering. 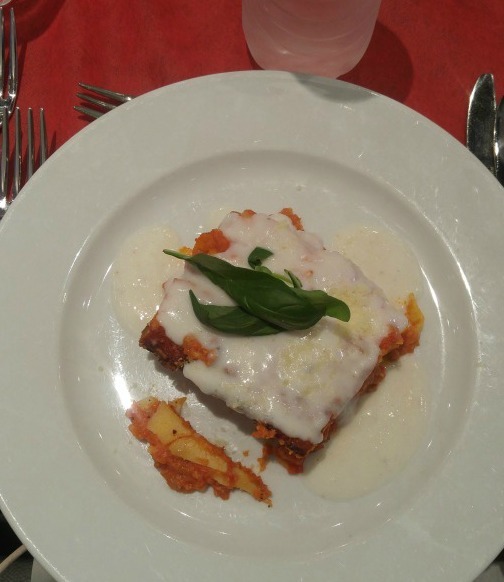 Everything tasted well proportioned - the lasagne was soft, tasty and creamy. OK, next course. I'd heard that an Italian full course dinner can be quite big, but the next item on the menu was just supposed to be a bit of sliced beef. So I was quite surprised when a full dish of potatoes, beef and salad was plopped down in front of me - right after I had eaten my lasagne. It made me chuckle a bit, especially when I compared it to British cuisine - imagine eating a lasagne first then within a few minutes eating a roast dinner for the next part of your meal. 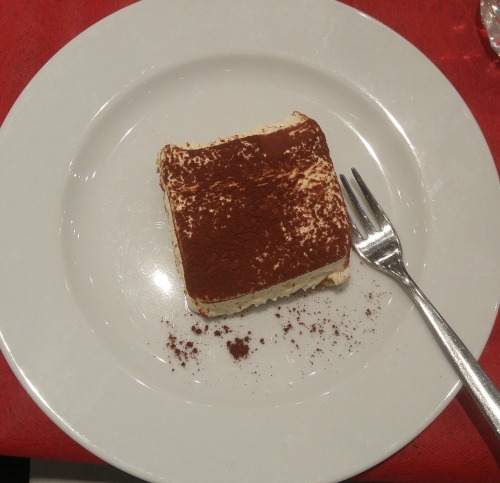 But I did make some space for the Tiramisu, and it was great. After a long day of sightseeing, we made our way home. It's always interesting to learn how the buses, trains etc. work in new cities. 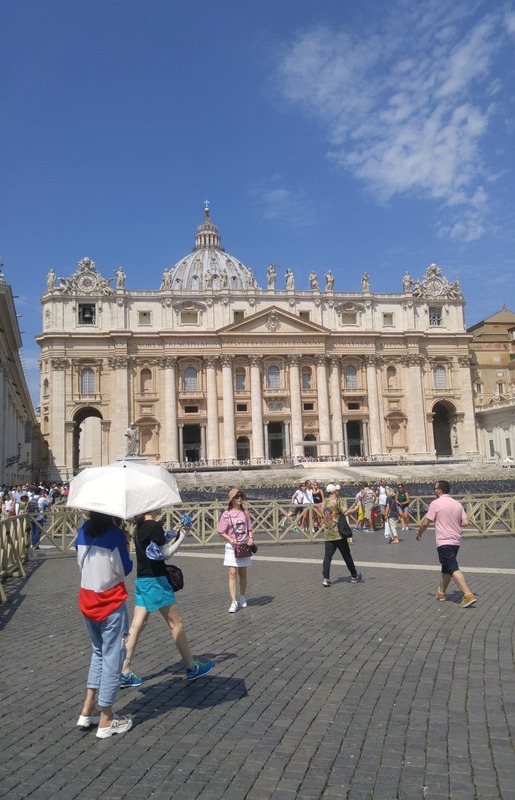 Rome is generally safe, but at the same time you do need to be cautious with your possessions, as tourists tend to get pick-pocketed frequently. This is especially so when using public transport. On our way to the bus stop, we found a Gelateria. We of course couldn't ignore the call of gelato, especially after such a hot, walking-intensive day (this was a solid 6 hours after the Tiramisu ;). 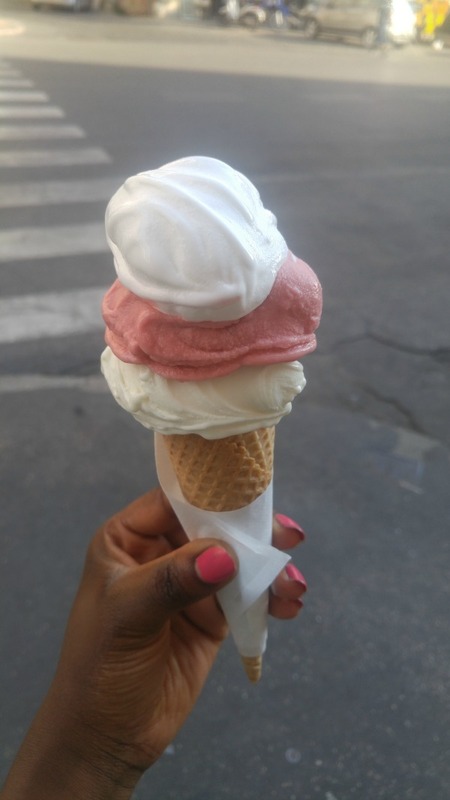 I got 3 gusti (3 flavours). Lemon on top, pomegranate in the middle, and white chocolate on the bottom. A weird mix I know, but it tasted pretty good. If you liked this, stay tuned for further posts and videos related to what else I got up to in Italy during the remainder of my stay. Thanks for reading!